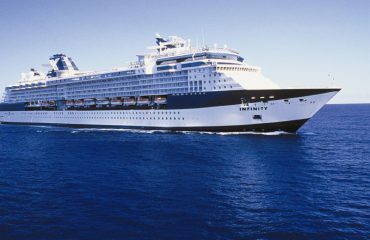 Dr. Peter Wasilewski will be the Antarctic Destination Speaker on board the Celebrity Eclipse from January 20 to February 3, 2019. The Southern Ocean extends from the coast of Antarctica north to 60 degrees south latitude. It is home to the world’s largest ocean current, the Antarctic Circumpolar Current, that moves east and transports 100 times the flow of all the world’s rivers. This started about 40 million years ago and initiated the creation of the Antarctic ice sheet (the largest single mass of ice on Earth). The coldest, windiest, and driest continent, Antarctica contains 90 percent of all of the ice on the planet in an area just under one and a half times the size of the United States. Dr. Wasilewski will describe the plate tectonic evolution of the Antarctic landmass, which also includes the origin of the Drake Passage and the glaciation of the continent. The nature of the follow-on presentations which describe all that might be encountered in the Antarctic will also be discussed. Icebreakers have extra strong hulls, and are designed for long excursions into the ice of the Polar Regions. Antarctic research in the oceans would not be possible without Icebreakers. They don’t try to plow through the packed ice – they use their power and momentum to push the sloping bow of the ship up onto the ice. The great weight of the ship then pushes down on the ice, letting gravity do the heavy work. Life on an icebreaker mimics the grand efforts that enabled discovery and exploration of the 7th continent. 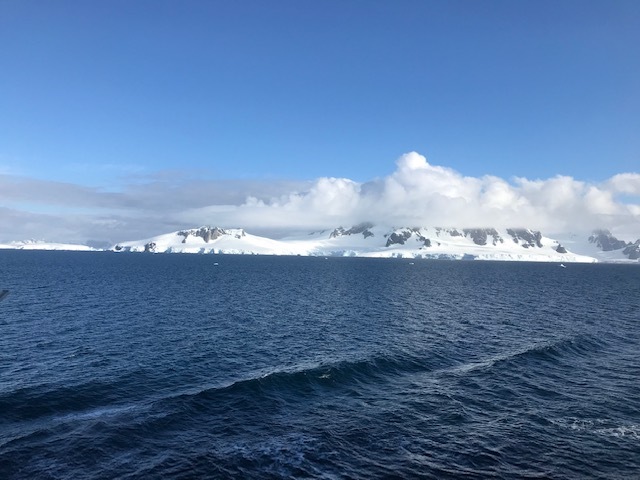 Dr. Wasilewski will describe his trip to the Antarctic on board the Japanese Icebreaker SHIRASE during the 25th anniversary expedition of the Japanese Antarctic Program. Additionally, he will discuss the trials and tribulation of the sailing history of Antarctic Exploration. Ice cores are like history books that can help describe the temperature and atmosphere composition over the past several hundreds of thousands of years. Climate change has historically occurred on a scale of hundreds or even thousands of years. Recent polar ice core evidence demonstrates that major regional and global climate shifts have occurred in just a few decades or even several years. Ice-core records show that climate changes in the past have been large, rapid, and synchronous over broad areas. Large volcanic eruptions can cause mini ice ages and can be responsible for social impacts such as the writing of the tale of Frankenstein. Dr. Wasilewski will describe how ice and snow tell the history of winter and climate in Antarctica and worldwide. Throughout Earth’s history, meteor impacts have profoundly modified our planet’s landscape and radically altered the path of its biological inhabitants. In perhaps the wildest and most remote part of the Bolivian lowlands, a circular feature believed to be the most recent complex meteorite impact crater on Earth was observed from space. 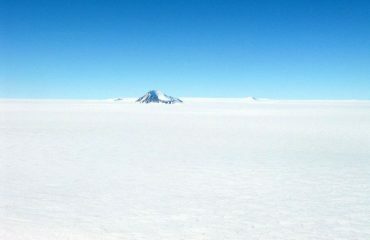 The Antarctic ice cap is a repository for thousands of meteor pieces. Dr. Wasilewski will take you to the Jungle and the Antarctic Ice Cap in search of the evidence for the Cosmic story book. South America, the Antarctic Peninsula, the Falkland Islands, and Elephant Island were all part of the Gondwana continent, part of the Pangaea supercontinent that existed 510-180 million years ago that drifted apart.” Mountains of the Peninsula are considered to be a continuation of the Andes of South America. Over the past 50 years, warming of the Antarctic Peninsula has been accompanied by accelerating glacier mass loss and the retreat and collapse of ice shelves. Dr Wasilewski will describe how the warmth of this part of the Antarctic in January and February and the available scenic ice and rock juxtapositions make the perfect scenic cruise settings. Emphasis will be on the path travelled. What Is Interesting About Elephant Island? Elephant Island is a desolate ice-covered mountainous island off the coast of Antarctica in the outer reaches of the South Shetland Islands.The name was given by early explorers who sighted elephant seals on its shores. Nature never intended it to be a place fit for humans to inhabit. The island is most famous as the desolate refuge of Ernest Shackleton and his crew in 1916. After the loss of their ship, Endurance, Shackleton and his crew of 28 reached Elephant island after a harrowing journey. Realizing there was no chance of rescue from Elephant Island, Shackleton took a sub-set of five men in his crew to sail on an 800- mile voyage in an open lifeboat, to South Georgia Island where he knew there was a whaling station. He arrived at South Georgia almost two weeks later. He returned later to Elephant Island to save the remaining 23 members of his crew left behind.This and the current revival of all things Shackleton will be described by Dr. Wasilewski. Auroras, the beautiful and often eerie curtains of light in the night skies of the far north and south. They originate in the atmosphere layer high above the surface of the Earth The light of auroras is seen when charged particles in the solar wind excite the electrons of Oxygen and Nitrogen. As the electrons lose the excitement, Oxygen and Nitrogen, emit visible light of distinct wavelengths to create the colors of the Auroral display. The Solar wind is ejected from the Sun when the Sun is excited and touches the Earth differently than the Radiant Sunlight. It is focused by the Magnetic Field of the Earth to give the aurora.